Our dogs’ eyes tell a story. Popular narratives range from “I-love-you-so-much-you’re-the center-of-my-universe” to “feed-me-now-feed-me-now,” but even the happiest tale can be derailed by the sight of tear stains on your pup’s face. Contrary to popular belief, these reddish-brown streaks are not a sign of depression. More common in certain breeds (i.e. Maltese, Lhasa Apso and Shih Tzu) and much more apparent in dogs with lighter coats, tear stains have deeper roots than a case of the blues. Tear staining is caused by epiphora, which is the excessive production of tears. The reddish-brown color comes from porphyrins — molecules that contain iron. The majority of the time their presence is simply superficial, but it’s always a good idea to check with your veterinarian and rule out any potential medical causes. For example, tear stains with more of a brownish color is an indication of a yeast infection. Other medical causes of tear stains include eye infections, poor diet, ingrown eyelashes, glaucoma, and more. Meticulously wiping away porphyrin-containing moisture around the eyes with a soft, warm, damp cloth is a great place to start. Keeping the hair around the eyes trimmed will also help avoid irritation that could lead to tearing. Other daily grooming tips include flushing the eyes out with appropriate canine eye-wash, such as saline solution, and using a cotton ball to gently wipe the solution around the eye area. Just like with humans, what you put into your dog’s body affects what comes out. By feeding your dog a high quality, balanced diet, you decrease the amount of indigestible ingredients that he or she will have to detoxify. Providing fresh, filtered water avoids the high level of mineral content and impurities (i.e. iron, chlorine, fluoride) that are toxic to pets and found in most tap water. Making the switch to stainless steel, porcelain, or glass water bowls helps keep your dog free of bacteria that may harbor in the plastic kinds. We’re talking herbal eye wash, coconut oil, colloidal silver, and Visine. Always talk to your vet about cleaners that are safe to use around your dog’s eyes before making the switch. 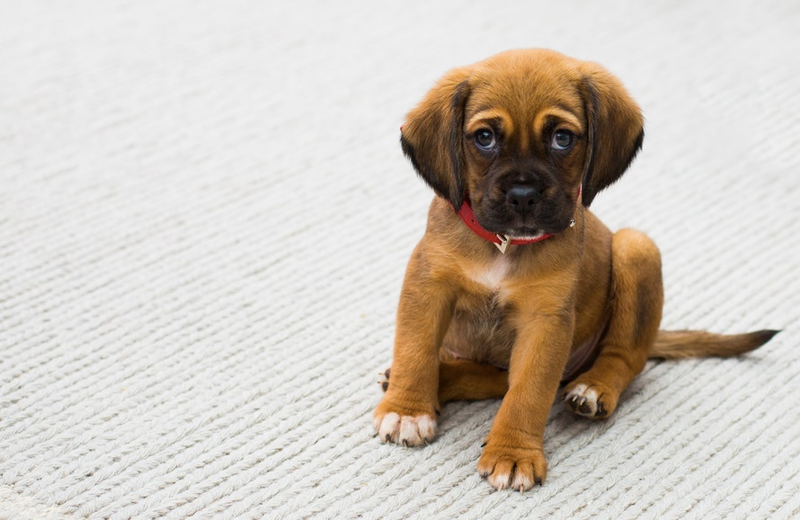 Using a probiotic enzyme like I-Stain or adding ingredients like organic apple cider vinegar and buttermilk powder to your dog’s daily meals have been found to yield positive results. Mild antibiotics can also be used for short periods of time in more severe cases. Cheer up, pet parents! A routine check in with your vet and some simple lifestyle adjustments will have your dog looking as happy as he feels in no time.